ETARU, the Japanese eatery located in the heart of Downtown Fort Lauderdale, has debuted a new, enhanced lunch menu with a wider set of offerings. The contemporary restaurant has added three new Express options to its lunch menu, perfect for those looking for a quick, high-quality meal in the middle of the day. 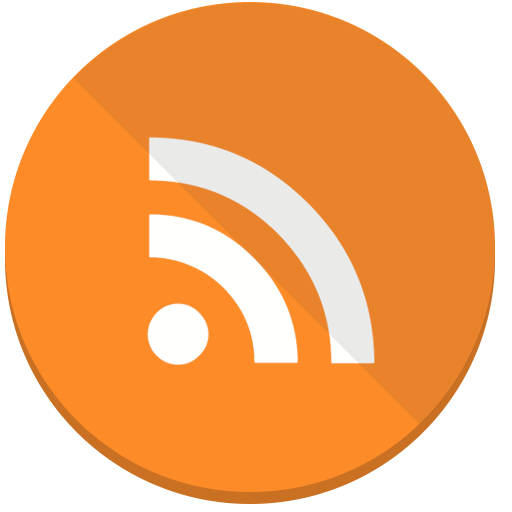 The selections include three different price points with varied three-course offerings. For $17, guests will enjoy the new ETARU Express Lunch which includes White Miso Soup with scallions, Beef & Ginger Dumplings and an entrée choice of Pork Belly Ramen with grilled bamboo and scallions; Yakisoba with mixed vegetables and a fried egg; or the ETARU Burger with tomato, onion, shiitake and fries. The original Robata and Sushi Express options remain on the menu with slight changes to the items and price. The Robata Express Lunch ($19) includes White Miso Soup with scallions; Green Beans with asparagus and lime dressing; and a choice of Salmon Teriyaki; Spicy Glazed Pork Ribs with tobanjan sauce; or Grilled Chicken with spicy lemon miso. Guests may also choose between fries, rice or salad as a side. The Sushi Express Lunch ($22) includes White Miso Soup with scallions; Seaweed and Watercress Salad with honey sancho; and a Sushi Selection with Yellowfin Tuna, Seabass and Salmon Sashimi; Salmon Tartar with yuzu den miso with crispy nori; and Avocado and Cucumber Maki with wasabi peas. A la carte options have also been expanded, adding a new Sandwiches section as well as additional Snacks and Robata dishes. The new a la carte lunch menu will be offered Monday through Saturday from 12PM until 3PM. However, the express lunch options are only available Monday through Friday. 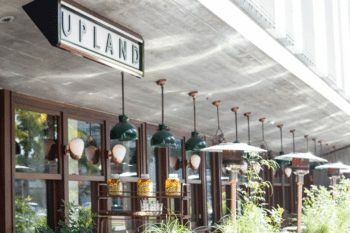 Upland Miami, the California-inspired South of Fifth hotspot, offers guests a way to alleviate busy schedules with a new late-night happy hour. Available daily starting at 10 p.m., Chef Justin Smillie offers the Upland Cheeseburger as the star item. In addition, a variety of beverages are available including three specialty cocktails for $9, a selection of wines for $8 and draft beers for $7. *regular happy hour is still available daily from 4 – 7 p.m.
Reservations to the highly anticipated Coral Gables-based restaurant, Ad Lib — led by Executive Chef and Partner Jamie DeRosa and two-time James Beard finalist Executive Pastry Chef Hedy Goldsmith — are now live as of this afternoon via Tock, Ad Lib’s exclusive reservation system. 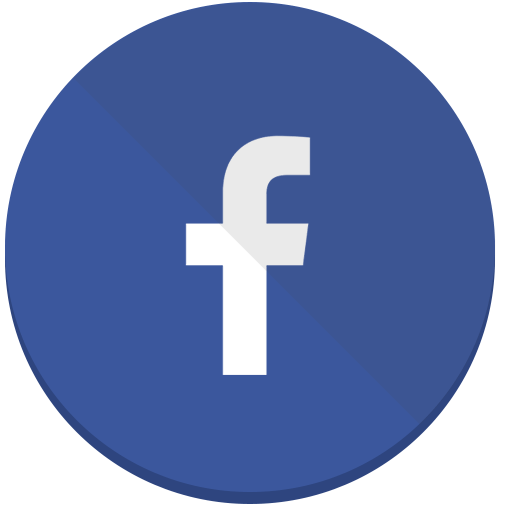 Click here to make your reservation. 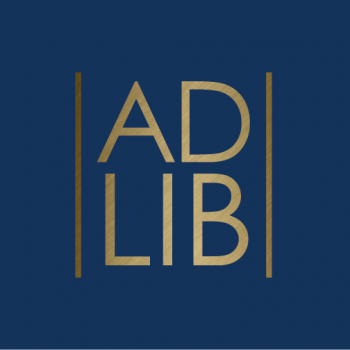 Reservations can be made for Ad Lib’s opening day, February 1, and beyond for the regular a la carte menu or the Chef’s Tasting Menu options. 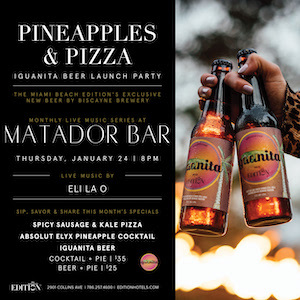 The Miami Beach EDITION will celebrate the launch of its new exclusive hotel brew, Iguanita, at its popular Matador Bar monthly live music series, Pineapples & Pizza, on Thursday, January 31. Other EDITION hotels around the world have also partnered with local breweries to create a custom beer to represent the hotel, and now the tradition continues in Miami Beach with Iguanita. Meaning iguana in Spanish, Iguanita pays homage to South Florida’s diverse roots and tropical wildlife. The Iguanita bottle is also a nod to The Miami Beach EDITION’s tropical locale with the design featuring a sunset color scheme and a sunbathing iguana surrounded by palm trees. Brewed by Biscayne Bay Brewing Company, a 100% independent craft brewery headquartered in Doral, Florida, with a flagship taproom set to open inside the Old Post Office building in Downtown Miami later this year, Iguanita is a crisp and easy drinking lager. The brew blends classic German flavor with light fruity and floral notes from Hallertaur hops to create a bright golden color and a sessionable taste. Iguanita can only be found at The Miami Beach EDITION at all the hotel’s outlets by the bottle at Matador Bar, Matador Room, Tropicale, Basement Miami, in guest room mini bars, and at Market at EDITION, where it can also be found on tap. To celebrate the debut of its new craft beer, The Miami Beach EDITION will host a special extended edition of Pineapples & Pizza, the delicious monthly pizza, cocktail, and live music series at Matador Bar on Thursday, January 31 at 8PM. A local favorite, the event offers a rotating off-menu pizza paired with a signature Pineapple cocktail to provide a savory experience every month for $35. This month’s Spicy Sausage & Kale Pizza can either be enjoyed with the Pineapple cocktail, or for $25 guests can pair their pie with a freshly poured glass of Iguanita to celebrate the launch. 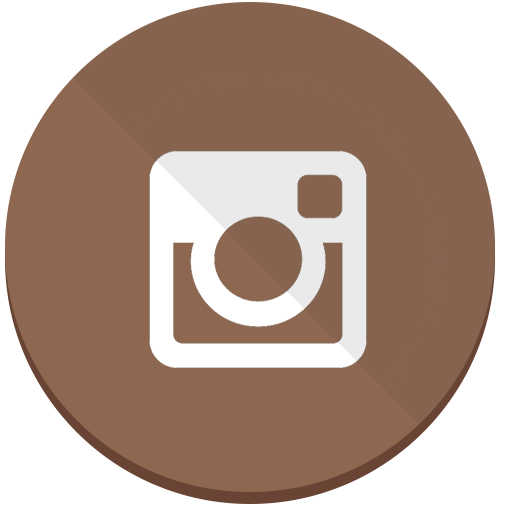 Hotel guests and locals alike are invited bring their friends, share a pizza, and have a few brews while jamming to live music by Eli La O and a special guest starting at 8PM. Boulud Sud is set to introduce Sunday Brunch curated by Chef Daniel Boulud Sunday, January 20, 2019. The menu features a glamorous combination of sweet and savory dishes and endless beverages. Under Executive Chef Clark Bowen’s direction, savory brunch classics get the Boulud Sud treatment from French Scrambled Eggs with smoked salmon on toasted brioche and Setas Con Huevos with roasted mushrooms, tomato confit, croutons and farm egg to the Moroccan Shakshouka with manouri, kale, and slow poached egg. Sweet entrees also shine including the Brioche French Toast with chantilly and raspberry marmalade and Ricotta Pancakes with sheep’s milk ricotta, chantilly, butter and pure maple syrup. Since it’s the weekend and calories don’t count there’s no need to skip dessert, especially when the stunning creations are from Pastry Chef Saeko Nemoto. Finish the meal with her Caramel Fondant with salted caramel sauce, cacao bean crumble and vanilla ice cream or the Mediterranean Sundae with baklava, rose lukum, lemon gelato and chantilly. As for cocktails, Head Bartender Craig Welsh draws inspiration from the coastal vibes of both Miami and the Mediterranean with the Grapefruit Blossom made with gin, elderflower and fresh grapefruit, and the Old Cuban crafted from rum, mint, sparkling wine and bitters. And of course, the new list offers bottomless beverages including a Bloody Maria with smoky mezcal, the Frosé with rosé wine, Lillet blanc and Lillet rosé, the Wake-Up Call with Montenegro, dark cacao, cold brew and Bailey’s foam, and sprizers like the Venetian with Aperol, elderflower and pomegranate juice, and a classic Mimosa. With nine cocktail options, guests can mix and match for two hours. 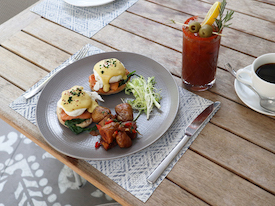 Brunch will be served Sundays from 11 a.m. to 3 p.m. (last reservation at 2:30 p.m.). 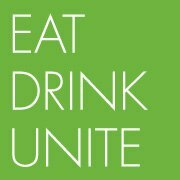 Celebrating its 23rd year, VeritageMiami, presented by City National Bank, will host 2,500 food, wine, beer and spirit aficionados from across South Florida to eat, drink and unite – all to benefit United Way of Miami-Dade. VeritageMiami will showcase top sommeliers, illustrious chefs, prestigious wines, breweries and an impressive lineup of auction lots. Festivities begin on Thursday, February 7, at the Craft Beer Tasting with dozens of brews and restaurants taking over Wynwood Walls. Taking place at The Ritz-Carlton Key Biscayne, Sunday, March 3, the reimagined Bubbly Brunch will offer an exquisite menu designed and directed by acclaimed Miami Chef José Mendín of Food Comma Hospitality Group. For the final event in this stellar series, the foodie fun culminates at the Intercontinental Miami, on Friday, March 15, with the Interactive Dinner headlined by Chef Fabio Trabocchi, recipient of the esteemed James Beard Award for “Best Chef, Mid-Atlantic” and “Best New Chef” by Food & Wine magazine. At the Craft Beer Tasting, at Wynwood Walls on Thursday, February 7, brew enthusiasts will rejoice with more than 100 leading local, regional and national craft beers and micro-brews at dozens of tasting stations. What pairs with a good beer? Great food! Guests will also enjoy delicious dishes by some of South Florida’s top restaurants, including: KYU; R House; Wynwood Kitchen & Bar; Red the Steakhouse, Two Chefs, and many more. This Annual Event is Co-Chaired by Daniel de la Vega (President, ONE Sotheby’s International Realty) and Jon Paul Pérez (Vice President, The Related Group). 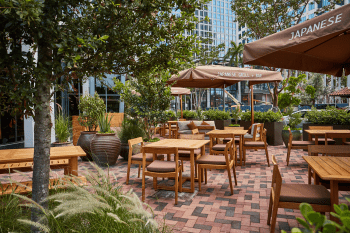 On Sunday March 3, the Bubbly Brunch will sparkle at The Ritz-Carlton Key Biscayne, Miami with Pubbelly’s Chef José Mendín returning to VeritageMiami as the creative force behind the menu. Not only will guests enjoy savory dishes, but also raise their glasses with Champagne Perrier-Jouët Grand Brut and Blason Rosé flowing freely as they bid on glorious wines, lavish vacations, sparkling jewelry, and much more. 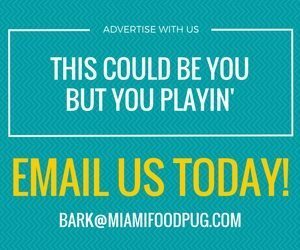 At the Interactive Dinner, at the Intercontinental Miami on Friday, March 15, more than 600 enthusiastic guests will sport cooking aprons and toques as they prepare a three-course meal right at their tables under the direction of James Beard Award-winning Chef Fabio Trabocchi.